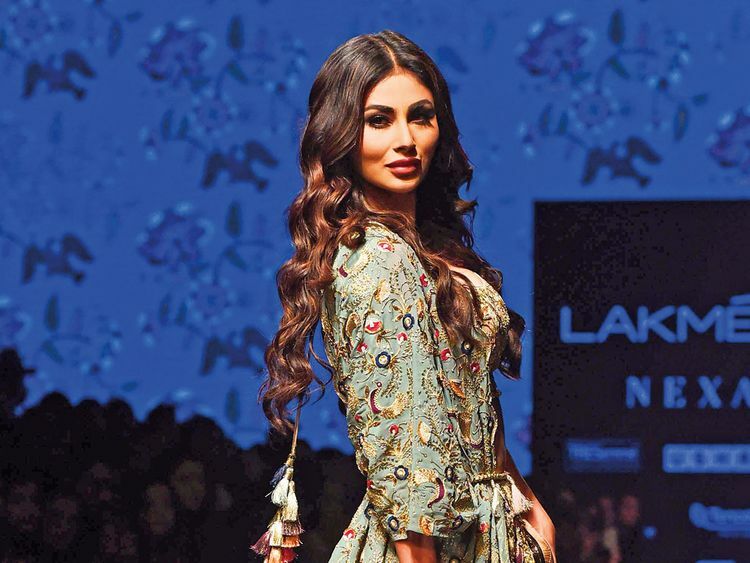 Actress Mouni Roy, who made her Bollywood debut with the film ‘Gold’ in 2018, is looking forward to three movie releases this year. “‘Romeo Akbar Walter (RAW)’ is coming out on April 12. ‘Made in China’ will be out on August 30, and ‘Brahmastra’ will release sometime this year,” she said on the sidelines of the Lakme Fashion Week. ‘RAW’ is an espionage thriller starring John Abraham, ‘Made In China’ is a comedy entertainer with Rajkummar Rao, and the big-ticket ‘Brahmastra’ is a fantasy film from Karan Johar’s Dharma Productions. It seems like 2019 is a good year for Roy. “Hope so... I really hope so,” said the actress after she walked the ramp for designer Payal Singhal. “All I can say is they are very interesting films. All characters are very different from one another. So I really, really feel happy to be a part of all these projects,” she said. “I didn’t expect it so early on in my career that I would get to play such fascinating characters. But I hope to do more work... These are just three films, and I would love to do a lot more,” Roy added. The digital content platform is also something that she finds exciting. At LFW, Roy wore a classic lehenga choli (skirt and top) ensemble from Singhal’s ‘Qo’shilish’ collection. “I was very nervous, and was shaking before taking to the ramp. When I am on stage, I am a confident person, but I had no confidence before I got on the stage. But the designer said, just go ahead and romance with the camera,” she said. “Both,” she said without a thought.